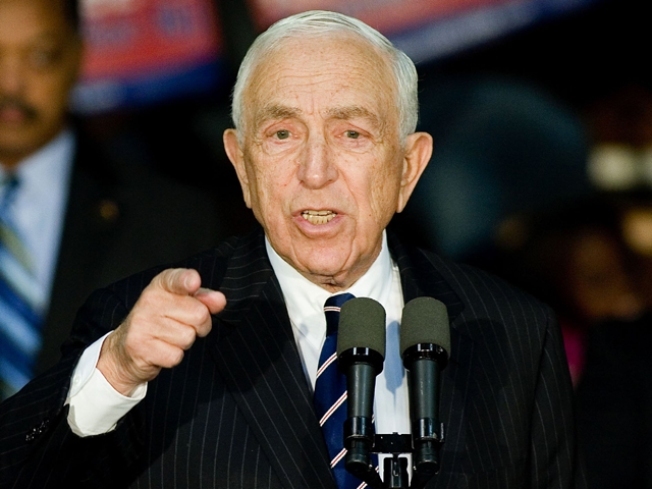 Democrat Frank Lautenberg, at 84, may be a victim of Wall Street fraud. New Jersey U.S. Sen. Frank Lautenberg is among the growing list of potential victims of what prosecutors are calling a multi-billion dollar Ponzi scheme. Lautenberg spokesman Scott Mulhauser says Sen. Lautenberg was an investor in Bernard Madoff's investment fund -- primarily in the form of the Lautenberg family’s charitable foundation. The 70-year-old Madoff was arrested Nov. 11 in what prosecutors say was a $50 billion scheme by the former Wall Street veteran to defraud investors.